Cost of attendance stipends are at the forefront of athletic administrators' minds these days. The questions of affordability, equity, recruiting advantages and a host of other factors make this one of the more anticipated changes in the history of student-athlete welfare reform. At NCAA Division I colleges and universities, the ability to offer these payments varies widely due to disparate financial resources on each campus. Significant analysis is occurring at cash-strapped colleges and universities to identify ways to cover these additional expenses. The media - The media (traditional and social) has effectively controlled the narrative that student-athletes in football and basketball are exploited and that they should be further compensated for their skills, fame and institutional revenue generation. The courts - Lawyers of all types, recognizing that there are deep pockets in some areas of college athletics have adopted the "Robin Hood" stance looking to take from the rich and give to the poor. Athletic administrators - The economic leaders in college athletics, primarily in the Power Five conferences, continue to enhance student-athlete benefits to respond to media criticism, legal challenges and unfavorable optics regarding a variety of student-athlete welfare issues. Which leads us to the group with the most to gain or lose: student-athletes themselves, who hold an increasingly powerful voice in NCAA governance matters. Recent research indicates some student athletes spend more than 50 hours per week on their sport and are too exhausted to study. The demands also extend to out-of-season student athletes who report the time commitment to be similar to their in-season expectations. 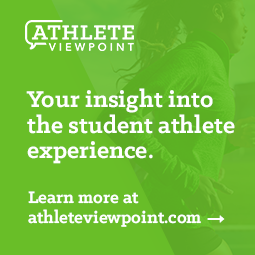 Considering how little time student athletes have to shape their educational experience, an experience that by their own accounts mirrors or exceeds the time demands of a full-time staff member, it is little wonder that compensation is being sought and lawsuits filed in lieu of a more well-rounded collegiate experience. Most athletics administrators and college and university leaders will argue that the amateur model is the correct one and a requirement for intercollegiate athletics to continue to exist on college campuses. But there will be little difference between amateur and professional athletics by August 2015 when cost of attendance stipends become permissible and are paid to thousands of student athletes across the country. Consider the definition of amateur - a person who engages in a study, sport or other activity for pleasure rather than financial benefit. Contrast it to the definition of a professional - a person engaged in a specified activity as one's main occupation rather than as a pastime. The list of benefits and payments a student-athlete receives in exchange for 50+ hours of athletic engagement clearly makes their participation more than a pastime. I recently conducted a very informal survey of seven Division I athletic departments (four public universities and three private universities) to compare what a full grant-in-aid student-athlete with a cost of attendance stipend will receive contrasted with the salaries of full-time staff members in their athletics department. Most of these staff members have degrees and in some cases graduate degrees, are "exempt" (salaried) employees and work significantly more than a 40 hours per week. At the private institutions I surveyed, between 45% and 67% of the professional staff in the department received a salary that was less than the value a full grant-in-aid student athlete receives. At the public institutions between 20% and 50% of the professional staff received salaries less than the value of an out-of-state, full grant-in-aid student athlete. Student-athletes - while indeed students - are making an athletic commitment in exchange for benefits that are on par with the salaries of the staff employed in their own athletics department. There is no question that professionalized collegiate athletics is contrary to the historical model of amateurism - but most Directors of Athletics including Craig Littlepage (Virginia), Jack Swarbrick (Notre Dame) and Bernard Muir (Stanford) recognize that the tides of professionalism are creeping up around the sides of the amateurism boat. Amateurism has value because it can help emphasize education as the primary and central part of a student-athlete's compensation for participation. But the on-going debate about the increasingly minor distinction between amateurism and professionalism is in fact a distraction from the most important but more difficult to address core value of college athletics - the educational and academic emphasis that should be at the heart of the student-athlete experience. As Northwestern AD Jim Phillips appropriately points out, the focus needs to return to education. And once that focus is restored, college athletics' relationship to higher education will be enhanced and student-athletes will be viewed as students not professionals regardless of what they receive for athletics participation.